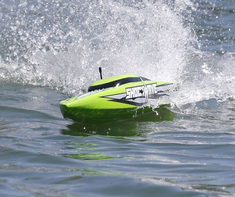 Whether you're an experienced RC boater or just getting started in your rc boating hobby, we've got you covered. 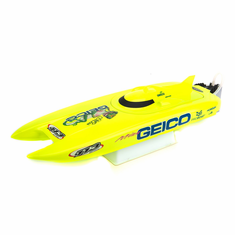 At RcTradingpost you will find top brand rc boat models from ProBoat like the Miss Geico RC Boat and Rockstar RC Boat and RC Boats from Traxxas like the Traxxas Blast RC Boat and the incredible Traxxas Spartan RC Boat. 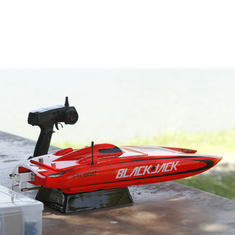 We have Radio Controled RC Boats, RC Speed boats, Catamran RC Boats, RC Sailboats, Scale RC boats, Deep V RC Boats, Electric Powered RC Boats, Brushless RC Boats, Gas RC Boats, Nitro RC Boats. We carry RC Boat Batteries, Chargers, Tools and Accessories. 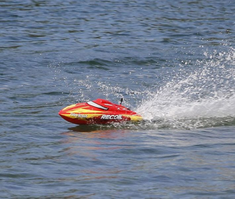 Remote Control Boats make for exciting outdoor activity that can be enjoyed by all ages. 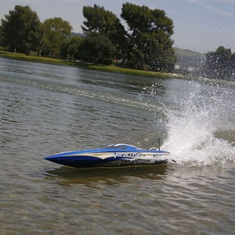 Some Brushless RC Boats are capable of speeds over 50+ mph! These are no toy rc boats, these are true hobby grade radio controlled speed machines!! !